The Ɂehdzo Got’ı̨nę Gots’ę́ Nákedı relies on the expertise of a number of experienced and knowledgeable individuals to project us with expert advice. 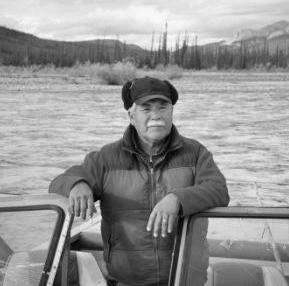 Leon Andrew is a Shúhtaot'ı̨nę elder with the Tulı́t’a Dene Band. He is Chair of the Nę K’ǝ Dene Ts'ı̨lı̨ (Living on the Land) Forum and Special Advisor to the Ɂehdzo Got’ı̨nę Gots’ę́ Nákedı (Sahtú Renewable Resources Board). He has been an advisor to Aboriginal Affairs and Northern Development Canada and the Government of the Northwest Territories on Transboundary Water negotiations with Alberta. Leon was an Access and Benefits negotiator and served on the Canol Heritage Trail Committee for the Tulı́t’a District during 2004-2006. He has also served on the Board of the Tulı́t’a Land and Financial Corporation. Leon has provided his research expertise on numerous traditional knowledge studies, assisted and advised GNWT Archeologists from the Prince of Wales Museum, and is also an experienced interpreter in Dene and English languages. He was an active trapper in the Tulı́t’a area and has first-hand experience of both the positive and negative effects of exploration activities on the environment and traditional economy of the Northwest Territories. Recognized as one of the Sahtú Region’s most experienced researchers, Leon now serves in a leading capacity in various national and international research programs involving research and monitoring: the NWT Water Stewardship Strategy, Mackenzie River Basin Board, the Canadian Mountain Network, and the Tracking Change: In 2011-2012 he contributed to the NWT Water Stewardship Strategy, through the Aboriginal Steering Committee, and Tracking Change: Local and Indigenous Knowledge in Watershed Governance. He represents the SRRB on the NWT Conference of Management Authorities and the NWT Species At Risk Committee. Dr. Paul Latour has extensive public sector work experience in wildlife management. 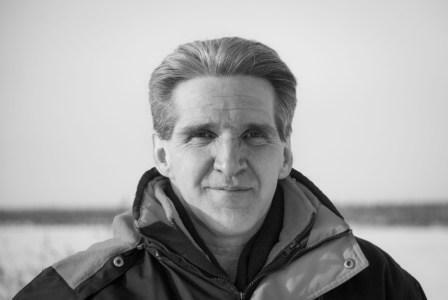 After some time working in Norman Wells with the Sahtú Region office of the Government of the Northwest Territories, Paul took a job as NWT Habitat Biologist with the Canadian Wildlife Service (Northern Conservation Division), based in Yellowknife. Upon his retirement in 2015, Paul's contributions throughout his long career were recognized through a Citation of Excellence in Service to Clients. The main focus of his work was assessing migratory bird habitat, establishing protected areas, managing existing protected areas in the Arctic and working on migratory bird habitat/population studies. In addition, Paul co-ordinated the environmental assessment of industrial projects in the Western Arctic and participated in the negotiation and implementation of Aboriginal land claim settlements. He served as a founding Board member from 1996-2016. Gordon Yakeleya was born at K'áalǫ Túé (Willow Lake). The youngest of sixteen children, he was taken to Grollier Hall residential school at the age of fourteen, but only stayed for three months. His father became ill with tuberculosis and was sent away to the hospital, and Gordon had to return home to help his mother. He and his family spent most of their time on the land, hunting and trapping. When he was sixteen years old he started earning an income. His first job was firefighting for $5/day. He did work for various seismic exploration companies for seven winters in the Tulı́t’a, Norman Wells and Colville Lake areas, and as far south as Fort Wrigley. His next career was hauling fuel and water in his home community of Tulı́t’a - he did this for many years. In the late 1980s he started a career in politics, including terms as Chief of the Tulı́t’a Dene Band, President of the Tulı́t’a Land Corporation and Tulı́t’a District Land Corporation, Grand Chief of the Sahtú Dene Council, and Mayor of the Tulı́t’a Hamlet. Throughout all those years, Gordon took every opportunity to continue hunting and trapping in various places, including the K'áalǫ Túé, Dǝocha (Bennett Field) and Blackwater areas. He was elected President of the Tulı́t’a Ɂehdzo Got'ı̨nę in June 2017. His vision is to encourage his community, and especially the youth, to keep the traditional land-based skills alive. The Ɂehdzo Got’ı̨nę Gots’ę́ Nákedı relied on the expertise of a number of experienced and knowledgeable individuals to project us with expert advice.